A comprehensive overview of 10 years of work from New Mexico sculptor Geoffrey Gorman with over 35 images. 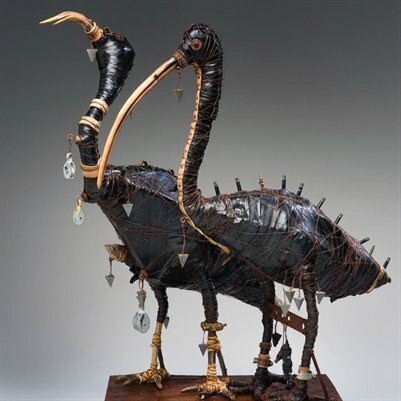 Also an in depth article originally published in American Craft about Gorman and his eclectic use of found and lost materials used to make his well know imaginative animals. Gorman's work has been show across the United States, South Korea, and China. His work has been collected by the University of Colorado, Boulder; Center for Contemporary Art, Santa Fe, NM; the Racine Art Museum and many private collections.